Israel and Turkey have reached an agreement to normalize ties, a senior Israeli official told reporters, according to Reuters. 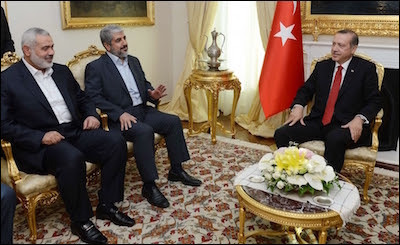 This will end bitter rift over the Israeli Navy’s killing of nine Turkish citizens during a Gaza flotilla raid in 2010. Economics and security are pushing the two back together. 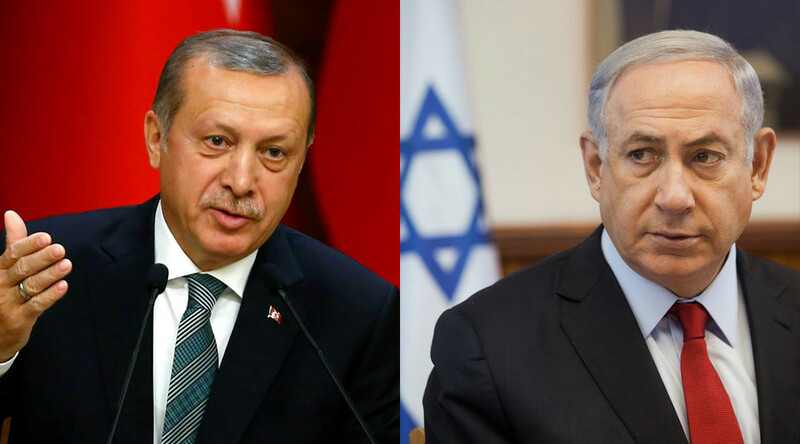 Turkey and Israel are reported to be on the verge of reestablishing full diplomatic ties after more than half a decade. This will have implications for the Syrian conflict, natural gas exports and Saudi-Israeli relations. The history of how Israel and Turkey had such a deep falling out goes back seven years. "Information Clearing House" - "The National" - In a little-noticed move last week, Israeli defence minister Avigdor Lieberman barred an official close to Palestinian president Mahmoud Abbas from entering Israel. Mohammed Madani is accused of “subversive activity" and “political terror". His crimes, as defined by Mr Lieberman, are worth pondering. They suggest that Israel’s conflict with the Palestinians may be rooted less in security issues and more in European colonialism. There is every indication that Turkey and Israel are not far away from normalizing their troubled diplomatic relations. According to Turkish Foreign Minister Mevlut Cavusoglu, for instance, the former allies are "one or two meetings" away from normalization. Has 'Bibi, the Magician' lost his magic? On the day after the March 2015 Knesset elections, the popular Italian daily Corriere de la Sera headlined its story on the Likud Party victory “The Comeback of Bibi, the Magician.” It brought to mind the Israeli performer Dori Ben-Zeev crooning Kobi Luria's “There once was a country,” a song about a magician who could speak without saying a thing, lived like a king and had a wife like a queen, until one morning his bluff was called. There are growing indications in recent weeks that Israel's “magician” is losing his touch and that the game is up. Israel just celebrated its 68th birthday. Since President Harry Truman overrode the entire foreign policy community of his day, inside the government and outside, and recognized the new State of Israel, the United States has been Israel’s external sponsor of last resort.